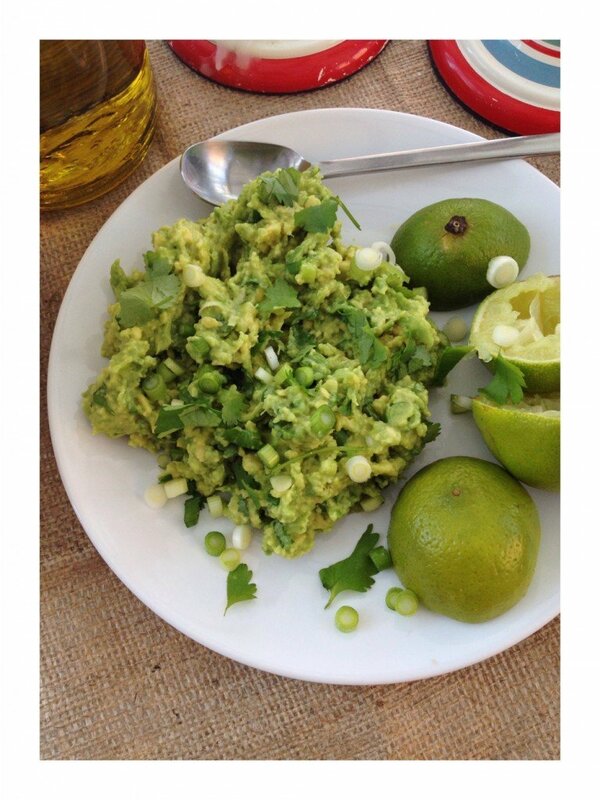 A quick a simple fuss free guacamole – fresh avocado, zingy lime and aromatic coriander – just perfection! 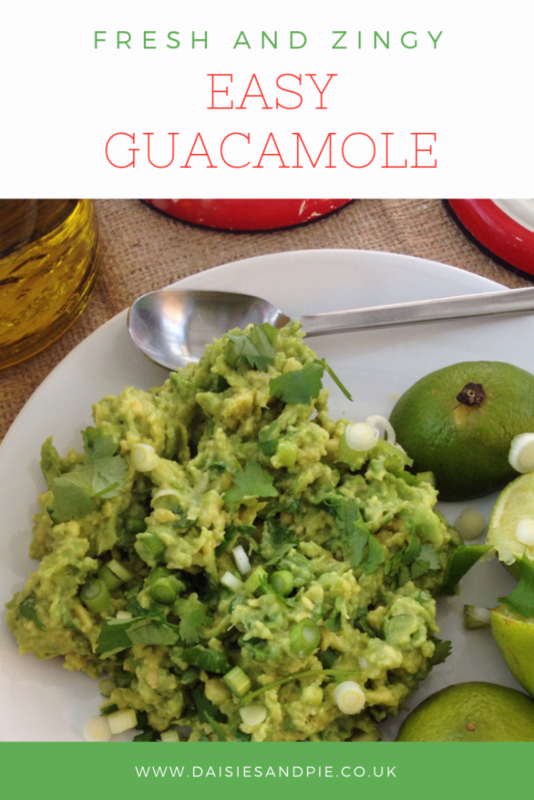 An easy family recipe and great for serving with Mexican food. Nothing beats a freshly made zingy dish of guacamole - mouthwatering. Peel and de-stone the avocado. Mash the avocado flesh using the back of a fork until it is a chunky puree. Squeeze over the lime juice and mix well. Sprinkle in the chopped chilli, spring onion and salt and stir through. Sprinkle on the chopped coriander. Perfect with nachos, quesadillas or even potato wedges. 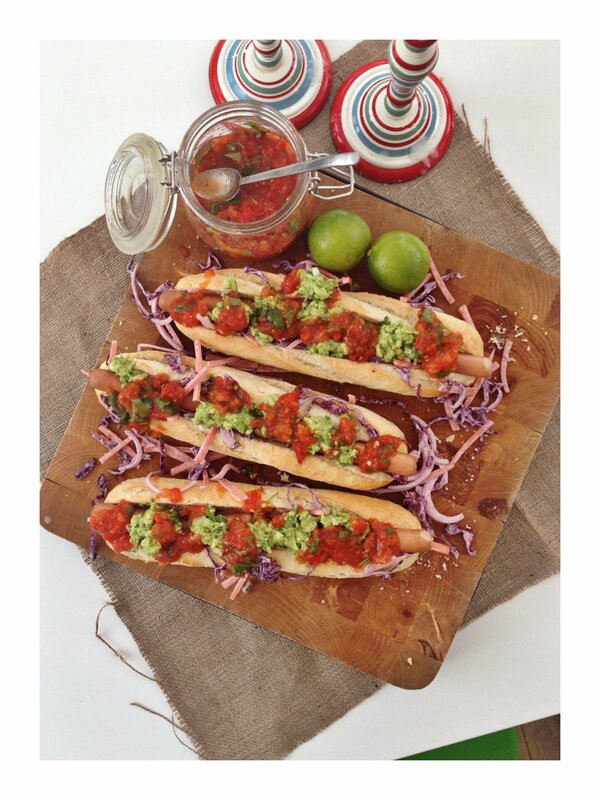 This is delicious served with our Mexican style gourmet hotdogs.